Spring is here and you might be looking for ways to overhaul your home. The fireplace serves as a focal point in any home, whether you’re living in a historic Victorian home with multiple fireplaces or a Cape Cod with a single living room fireplace. The fireplace can set the tone of your living space, and these DIY tips can freshen up its appearance no matter your personal style. The fireplace mantel originated from Medieval times serving as a hood to catch fireplace smoke. Today, it serves as a decorative element that can look strikingly beautiful. This is an easy upgrade to freshen up your fireplace without doing an entire overhaul. There are several mantel material options that give your fireplace an entirely new look. For example, welded metal provides a stylishly modern appearance for your mantel. Wood and stone are two very popular options, especially for older homes that use materials in its most natural state. Your wood mantel can even be slightly uneven and rough around the edges while still looking fabulous over your fireplace. The fireplace surround can certainly enhance the look of your fireplace. However, there are several considerations when choosing a fireplace surround such as material, height, and width. Once you have your ideal fireplace surround in mind, you can use it to add character to otherwise contemporary living spaces. You can find one pre-made from big box home improvement stores or even design your own for an entirely unique appearance. Feeling daring? Make a Saturday of it and bounce around to antique stores. Just make sure you check the clearances before purchasing. Color is one of the quickest ways to freshen up the look of any fireplace. You can paint existing brick for a quick transformation or even install new tile on the face of the fireplace. There are essentially endless colors and patterns to choose from, including mosaic tile, herringbone pattern, or even pebble tile. These are only a few aesthetic upgrades that are sure to freshen up any fireplace in Boston. Even though the appearance of your fireplace is important, you’ll also want to consider its function. Be sure to schedule your annual chimney sweeping and chimney inspection after a cold and long winter. Contact us today to book your appointment for fireplace and chimney inspection. Book an appointment with us online through our easy to use online scheduler. Established in 1989, our craftsmanship and reputation for integrity has distinguished us in the mind of the public. Each of our service vehicles is staffed by a knowledgeable chimney technician and accompanied by an apprentice. All of our technicians have years of experience and are committed to excellence and personalized service. 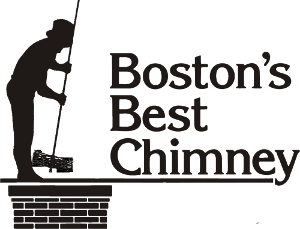 Copyright 2019 - Boston Best Chimney. All Rights Reserved. Enter your name and email below to download our free guide to keep your fireplace and chimney safe and ready to use.